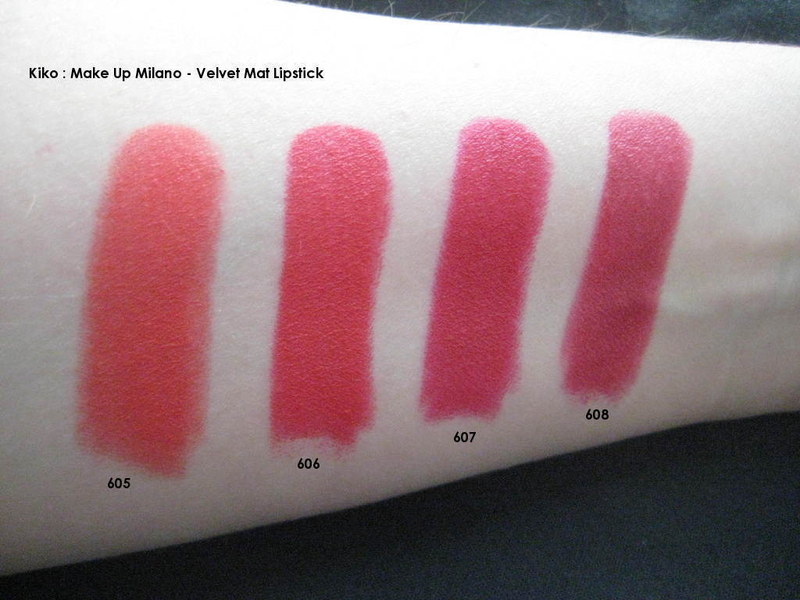 Here are some swatches of Kiko's Velvet Mat red lipsticks. If you have read any of my reviews, you will know how much these lipsticks impress me. I thought it would be useful for a colour comparison - so here it is! Enjoy!